CWB Chicago: Federal charges planned for Lincoln Park "porch pirate"
Federal charges planned for Lincoln Park "porch pirate"
Federal charges are pending against an alleged package thief who was snared in “Operation Porch Pirate,” a joint investigation involving Chicago police and the U.S. Postal Inspection Service on the North Side. Prosecutors said property belonging to five residents of Lincoln Park and Old Town were found in the thief’s car along with a dummy package that had been planted on an Old Town porch as part of the investigation. James Myers, 24, of the Hyde Park neighborhood, was arrested last Wednesday after police and postal inspectors tracked him down using GPS device that was located inside the bait package, police said. He is facing state charges of felony theft and four misdemeanor state charges of theft of lost or mislaid property. Police said federal charges will be filed against Myers. Prosecutors said a covert postal inspector watched as Myers took the bait package from a porch in the 1700 block of North Sedgwick around 1 p.m. on November 14th. The box contained the GPS tracker along with two iPads, according to court records. When police tried to pull Myers over after the theft, he sped off, and police backed away knowing that they could follow the location device, officers said in a police report. Investigators soon located Myers’ car in the 800 block of North Rush and he was arrested in the 800 block of North Michigan Avenue after a brief foot chase. Prosecutors said Myers’ car contained the stolen bait package along with another parcel taken in Old Town and three packages stolen from the 2400 block of North Janssen in Lincoln Park. 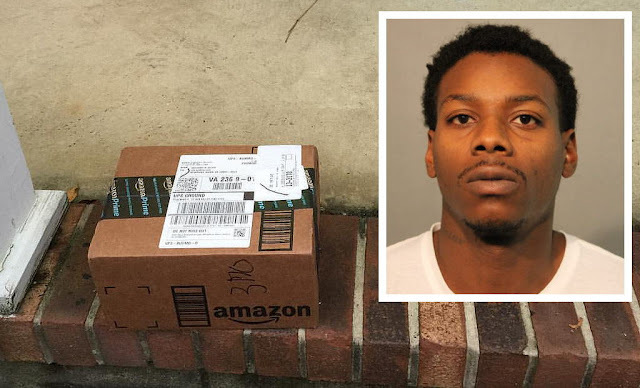 In addition to investigators’ iPads, the stolen boxes contained a white shirt, shoes, and a cashmere sweater, according to police. Judge David Navarro set Myers’ bail at $3,000 and ordered him to go on electronic monitoring if he posts the $300 deposit bond. Myers is currently being held without bail on a separate case, according to Cook County Sheriff's Office records.